Did you know that the overwhelming majority of crypto exchanges fake their trading volumes? And we’re not just talking massaging the figures a little. We’re talking massively cooked books, with about 75–99% of volumes made up of wash trades, i.e. where the exchange buys and sells the assets at an even price just to pump up volumes. That’s according to research from the Blockchain Transparency Institute. To be honest, their methodology probably isn’t as strong as the researchers would like. But verifying volumes is a great idea. Wash trading is a big problem on crypto exchanges. Probably the biggest reason it takes place is that bigger volumes generally mean bigger listing fees, i.e. payments that crypto project teams pay to exchanges in order to get their coin or token listed. Fortunately, there’s a simple — and fairly obvious — solution to the problem. Publishing user IDs makes wash trading easily identifiable. As you probably know, platform user IDs are not the same as real-world IDs. You don’t have to use your real name when signing up for social media accounts, for example. And many people don’t. You just give a user name and an email address you have access to for a few minutes, at least. Financial platforms will also assign you a user ID. But if it’s a fiat financial institution, to get one you’ll also need to provide your real-world ID. A scan of your government-issued ID document, and so forth. On the other hand, crypto-only financial institutions — like many of the most popular crypto exchanges that don’t accept fiat — generally do not require you to link your user ID to your real-world ID. Now just imagine that a trader makes a trade on a crypto-only exchange. In principle, it isn’t that much different from making a social media post. No real-world identities are — or can be, if they weren’t provided — disclosed. Some bits of data moved around. On social media, a user’s ID gets included in the post. But on most crypto exchanges, a user’s ID is not is not included in the public list of trades. If they were, it would be far easier to spot wash trading. Maybe not to the casual human observer — but it would be short work for analytical software. 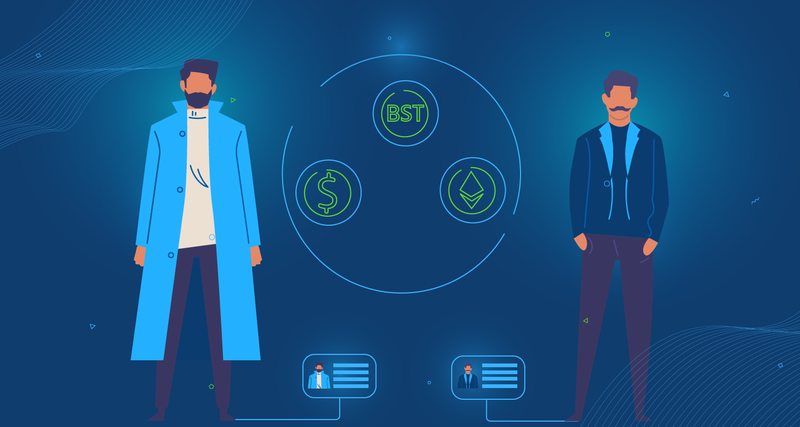 Judging from the Blockchain Transparency Institute’s research, we’re talking about millions of dollars worth of trades which must have been executed with specialized software according to certain programmatic patterns that other software should be able to pick out relatively easily, in theory. Even if every single trade on on a certain crypto exchange was carried out through its own unique user ID, it would still be relatively easy to identify a pattern of risk-free trades for all the user IDs involved. In other words, an exchange is hardly likely risk losing money on “real” trades just to pump up their volumes in hopes of greater listing fees. So why don’t more crypto-only exchanges publish user IDs for their trades? One obvious answer is that wash trading is part of their business plan, and they don’t want to disclose it. An exchange might not publish trader’s user IDs in order to protect their trading strategies. Generally speaking, successful traders are a secretive bunch. They make money by figuring out insights before anyone else, connecting the dots that others don’t see, etc. So if you are a successful trader, you don’t necessarily want others identifying your trading patterns. And they would be able to if your user ID is published alongside all your trades. That’s a fair point. But at Picostocks we think there’s a more important point. At Picostocks, we believe that transparent honesty will create a stronger market over the long-term. With us, every bid and ask has the relevant trader’s user ID published next to it. That means trading strategies — and their owners — are more transparent. For some traders, that’s a disadvantage. But that also means that the entire market is more transparent, and traders can also spot any signs of manipulation far easier than on an exchange that does not publish user IDs like that. That’s something that all traders can appreciate. And we think it will ultimately create a stronger marketplace in the long-term, as opposed to any short-term gains of greater secrecy. Sign up for Picostocks today. What you see is what you get. Verifiably!